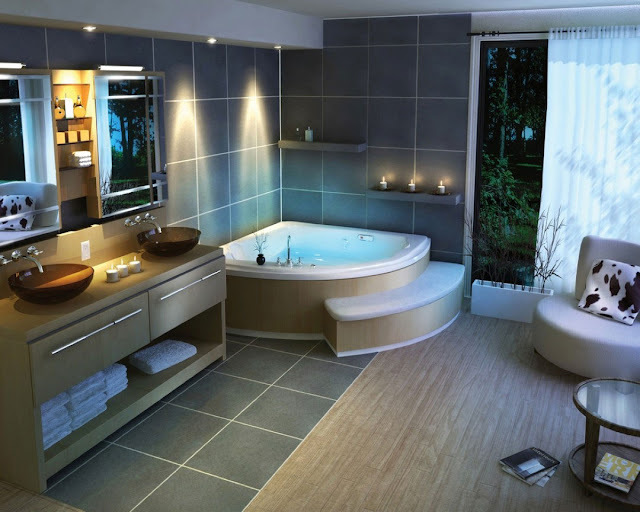 A spa bathroom can be luxurious without costing a fortune. Little touches and accessories as shown here such as candles, plants and loads of white towels barely cost a thing. Make smart choices with your fixtures and when in doubt, choose white as your paint color.